In this Casio Keyboard Ultimate Buyer’s guide I’ll go over everything from the best keyboard for beginners, to the best on a budget, and everything in between. Perhaps best known for their signature watches and calculators (including their epic “calculator watch”), Casio has been making high quality, affordable keyboards for the past three decades. Their product line includes console pianos, stage pianos, workstation keyboards, lighted keys, portable keyboards, mini-keyboards, music arrangers, and synthesizers. 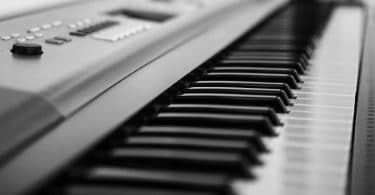 With all the different keyboards and pianos Casio offers, it might seem a little daunting in trying to choose which one is the right one for you. Don’t worry! We’ve narrowed down the list to provide you with the elite, the best of the best, the Casio Keyboard Ultimate Buyer’s Guide! We’ll also take a look at Casio’s “Chordana Play” app, an intuitive and easy to use mobile application compatible with most Casio products that will make learning how to play piano, or improving your piano playing skills, a cinch. Typical of their overall broader product line, Casio digital pianos, keyboards, and mobile applications have an incredible attention to detail, and an emphasis on ease of use. Let’s see the best Casio has to offer! With access to over eight hundred different sounds, hundreds of built-in rhythms and beats from around the globe, an onboard six-track recorder to capture your best ideas and progressive lesson suite to help you learn to play piano faster, a USB/MIDI port enabling seamless integration with your peripherals and mobile devices, and compact and lightweight design with optional 100% battery capabilities, Casio’s entry-level CT-X3000 provides endless options and exceptional sounds to make it the best keyboard for beginners. Competitively priced, the CT-X3000 offers tremendous “bang-for-your-buck,” and should be at the top of your list if you are looking for a capable keyboard for beginners. Casio has managed to check off all of the boxes with the CT-X3000, delivering an impressive instrument that you can take with you anywhere. With all of the CT-X3000’s features and capabilities, you can be sure you’re purchasing an instrument that will not only make learning how to play piano easy and fun, but will also grow with you as you’re piano playing skills advance! If you make your living playing to live audiences night-in and night-out, or if you’re an aspiring musician that dreams of playing in front of adoring fans, the Casio PX-560 is the best keyboard for gigging musicians. Look no further, Casio’s top-of-the-line stage keyboard is sure to impress even the staunchest keyboard connoisseur. Hands down, this keyboard delivers, and is deserving of your consideration when looking for a keyboard for live applications. With its 5.3” touch screen interface and Tri-Sensor Scaled Hammer Action II keyboard, the PX-560 looks and feels like a professional grade keyboard right out of the box. Utilizing Casio’s Multi-Dimensional AiR (Acoustic and Intelligent Resonator) Sound Engine, the PX-560 delivers life-like acoustic sounds and control over the most minute details like damper resonance, string resonance, hammer response, and note decay. This keyboard is the real deal. With sound design and hex layer technology borrowed from Casio’s flagship digital piano platform, the PX-560 generates over 550 tones, covering a plethora of musical instruments and musical genres. The keyboard also boasts 220 onboard rhythms, customizable user rhythms, and your own musical presets including rhythms, sounds, effects, and chord progressions… everything but the kitchen sink! The PX-560 is at home in the studio or on stage with its lightweight design and connectivity for sound systems, multi-keyboard setups, computer interfaces, and mobile devices. This capable keyboard also comes with an ample 17-track MIDI recorder and a USB audio recorder. Capturing your brilliant ideas has never been easier! Competitively priced amongst its peers, the PX-560 is a tremendous value, and holds its own when pitted against some of the “better known” keyboard manufacturers. Make no mistake, this keyboard rocks! When considering a digital piano for your home, most want something elegant, sparse, and timeless. The Casio PX-870 captures all of these qualities and more, including award winning AiR Sound Source, Tri-Sensor Scaled Hammer Action II keyboard with simulated ebony and ivory textured keys, a powerful 40-watt, four speaker stereo output with a proprietary volume sync EQ that ensures crystal clear sound across all frequencies, no matter the volume. 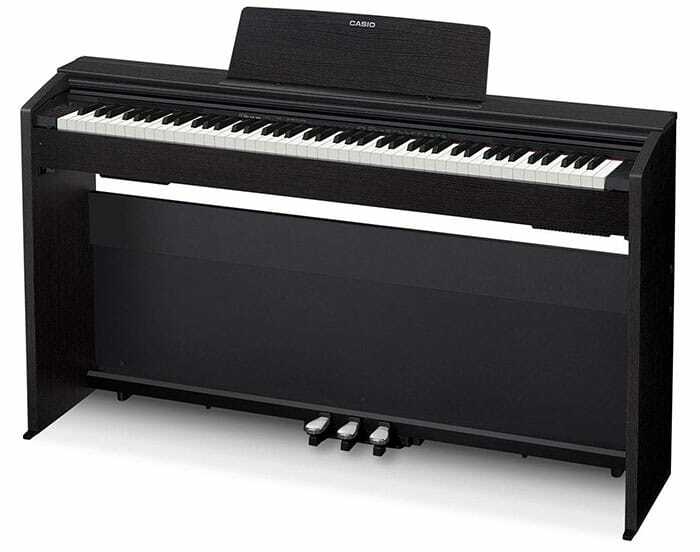 The PX-870 is also a wonderful choice for those just starting to learn how to play piano. The digital piano comes with two ¼” headphone jacks on the front panel and the intuitive PX-870 optimizes the sound output when you’re connected with headphones to emulate clean, crisp sound! Duet mode splits the piano, so you and your piano teacher can practice side by side! Do you have the next chart-topping song stuck in your head? Ready to finally compose that symphony? Recording is a breeze with the PX-870, either direct to its two-track MIDI recorder, or via the USB drive. Recording to USB also allows you to take your tracks with you. You can record you piano parts in the comfort of your own home and bring them with you to the studio! Or, use them as backing tracks when you perform live! The PX-870 connects easily to any PC, Mac, or mobile device. Available in either black or white finishes, this digital piano will look classy in any room. The PX-870 is truly the best piano for your home. Given its price tag, it’s hard to imagine the Casio CTK-3500 can be anything more than just an entry-level keyboard. However, with over 400 quality tones, 150 built-in rhythms including Casio’s impressive “Dance Music Mode,” and 61 full-size touch-sensitive keys, the CTK-3500 gives you a lot pf bang for your buck, and easily claims the title of best keyboard on a budget. Compact and lightweight, the option to run this keyboard solely on battery power makes it a wonderful travel instrument. It’s short-scale design and size makes transportation a breeze and ensures you’ll be able bring your instrument with you should you choose to. Listen to your playing through onboard stereo speakers or practice in silence via the headphone jack. Casio’s “Dance Music Mode” allows you to instantly compose rhythms, melodies, bass lines, and drum beats with the touch of a button. Spice up your next EDM masterpiece with onboard effects like filter, flange, gate, roll, and low-fi as well! Connect to your mobile device and take advantage of Casio’s “Chordana Play” app which provides you with access to an incredible song library and utilizes the CTK-3500’s display to help you learn how to better play piano! Lighted keys are just the beginning when it comes to the Casio LK-280. With 61 touch response keys, 600 different tones, 180 rhythms, effects, Casio’s Step Up Lesson system, and onboard recorder, the LK-280 is a cutting-edge keyboard with tons of options to assist you in learning how to play piano. The LK-280’s USB connectivity easily allows you to connect to PC, Mac, or mobile device. Whatever your platform, the LK-280 is ready to go! When paired with the Step Up Lesson system, the LK-280’s light up keys make learning how to play piano fun and exciting. Its onboard library of songs is best-in-class, another Casio advantage! 48 note polyphony ensures you’ll never drop a note, which is important when playing complicated compositions, and the included 180 preset rhythms ensures you’ll always have something to play along with. Lastly, the LK-280 can run on either AC adapter or batteries, making it an extremely “portable” keyboard. Casio makes learning how to play piano even easier with its Chordana Play app! Connect your tablet or other mobile device to your Casio keyboard or digital piano and access the fifty songs included in the Chordana Play app or add MIDI files! Utilize the onboard Step-Up lessons on your Casio keyboard to further unlock more learning capabilities! Chordana Play’s colorful display posits the music and notation right at your fingertips. Play along with your favorite song, slow down the tempo, practice with the repeat function, and follow along visually with the virtual on-screen keyboard. Keep track of your progress with an intuitive scoring system! Get better faster! No piano? No problem! The virtual keyboard functionality in the Chordana Play app lets you practice on the go. Now you can literally “play” piano anywhere! The Chordana Play app interfaces uniquely with any given Casio digital piano and keyboard based on their included features. Plug in and expand your tonal universe today! 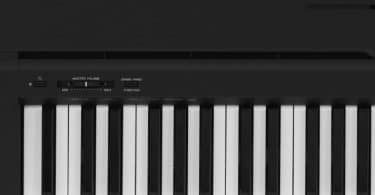 With a long history of producing products like watches, calculators, label makers, and cash registers, Casio has a rich tradition of technological research and development, and the company has parlayed that past into their line of digital pianos and keyboards. Regardless of which model you choose from our Casio Keyboard Ultimate Buyer’s Guide, you can bet that your Casio instrument will deliver professional sounding tones and make learning how to play piano easy and fun. Best of luck in your search for your perfect piano!